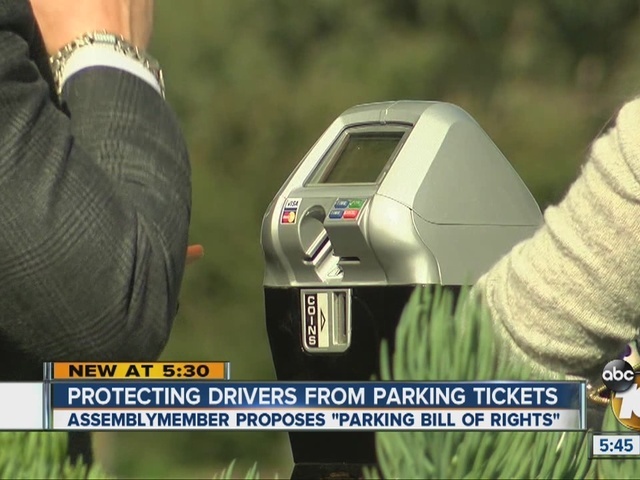 A bill to protect against unfair parking rules? A new proposed bill is aimed at protecting all California drivers from their local city governments when it comes to parking. Reza Sakhavat with Kearny Mesa-based Star Towing has heard many parking horror stories, including excuses like "they didn't do it. They didn't read the sign, it's not their fault …"
When drivers get upset that their cars have been towed, Sakhavat gets the brunt of the anger. "A lot of people are honest, though. They're like, 'It's my fault.' You'd be surprised," he told 10News. Many parking rules are straightforward, but there enough gray areas that a state lawmaker believes a "Parking Bill of Rights" is needed. The bill was proposed by Assemblyman Mike Gatto of the state's 43rd District. One part of the proposed bill will not allow cities to give out parking tickets for vehicles parked at broken meters. A spokesman for the city of San Diego told 10News parking at a broken meter is on the drivers themselves, as doing so is not allowed. Sakhavat said he thinks most violators are aware of that and "are trying to get away with parking for free." Another part of the "bill of rights" consists of encouraging cities to implement Uber-style surge pricing on parking meters. "I think it's a great idea. If you park closer to an event, you got to pay more," Sakhavat said. One item the proposed bill could fix: Many are unaware that owners who have their vehicles stolen will have to pay a towing fee if the thief parks the vehicle illegally. "The city regulated fee, it's $178 for the two and it's $38 a day storage," said Sakhavat. The bill of rights would give owners a grace period to pick up their vehicles without paying an impound fee. Even with the proposed bill of rights, Sakhavat said the best advice is to not park illegally in the first place. "The meter maids have a sharper eye. They do it every day," he told 10News. A city spokesman told 10News most of the proposed changes are for things that may be done in other cities, but not in San Diego.